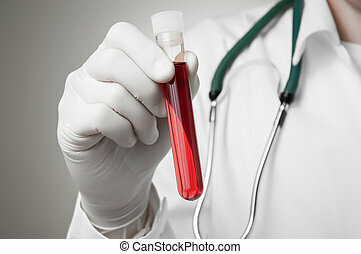 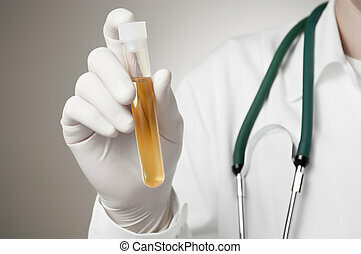 Doctor's hand with urine sample. 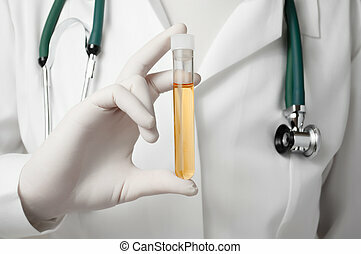 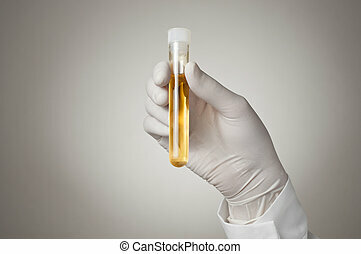 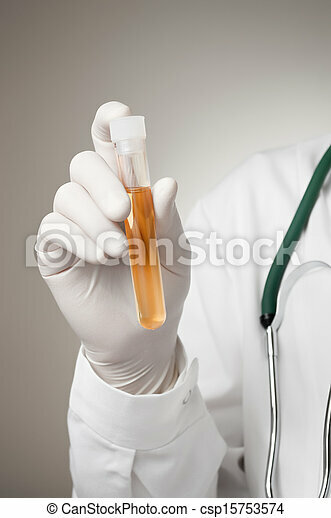 Doctor holding a bottle of urine sample. 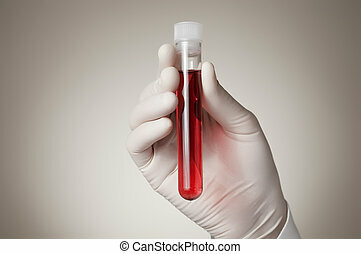 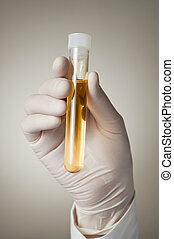 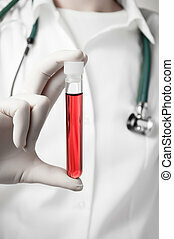 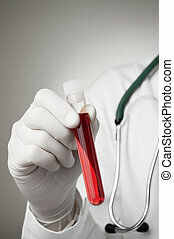 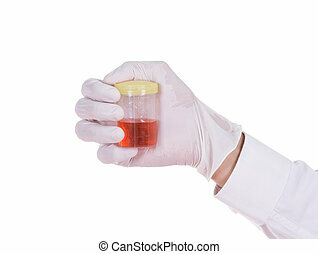 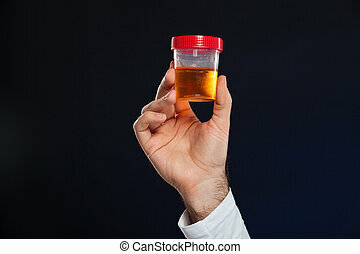 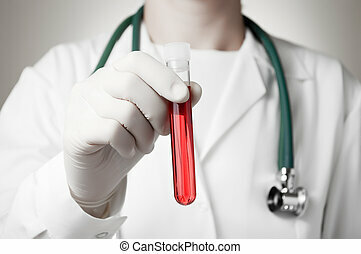 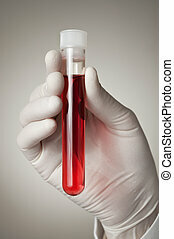 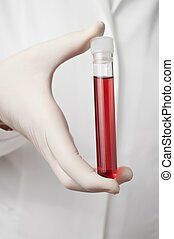 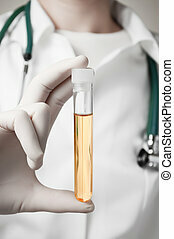 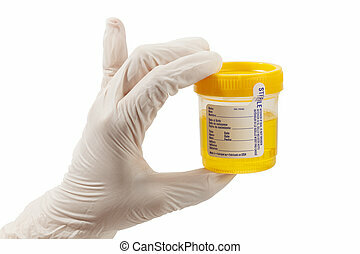 Pee Test Cup with Hand In Glove Holding it Isolated on White Background.